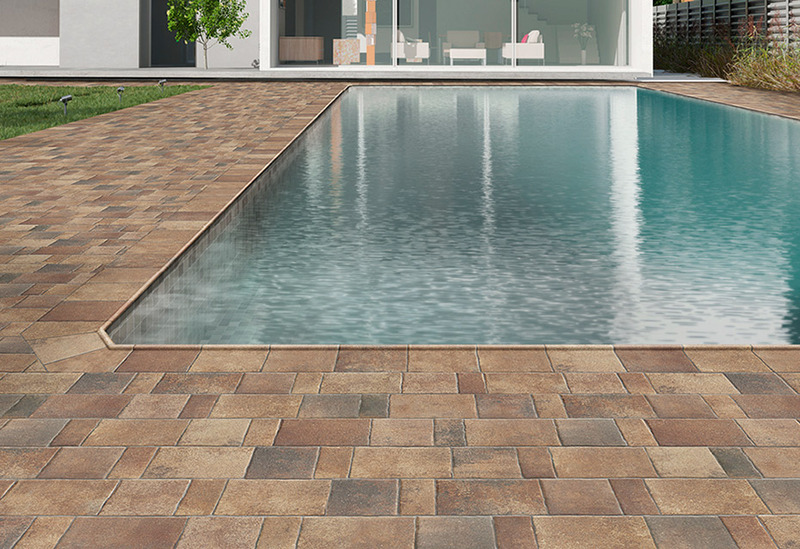 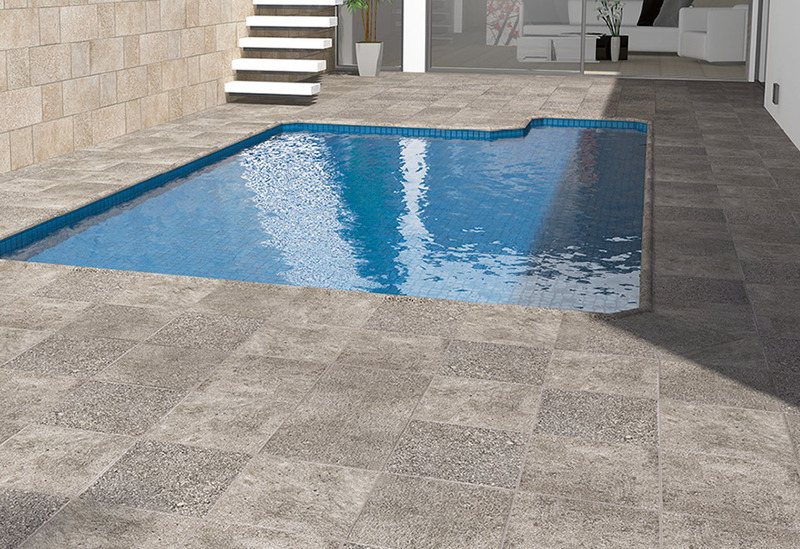 Porcelain tiles in 10x10 with a very modern chromatic range that will flood of harmonyand light your pool. 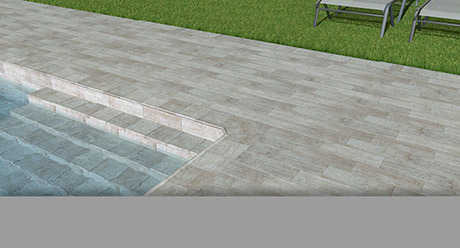 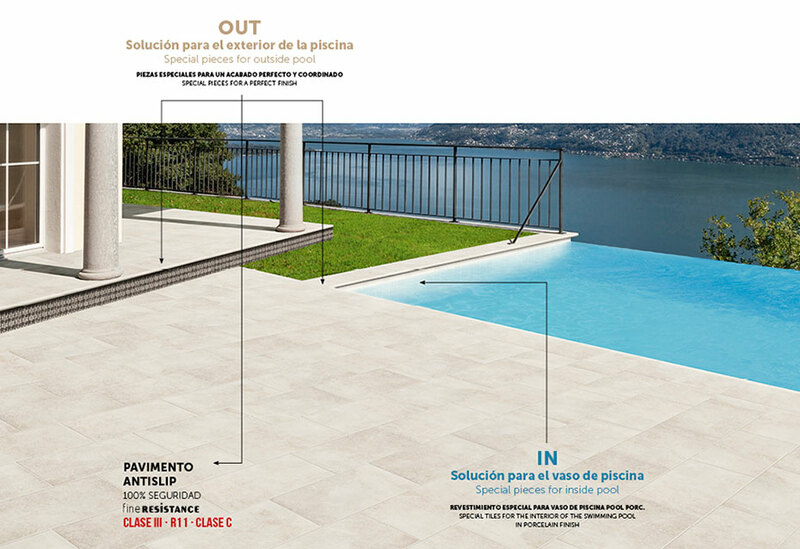 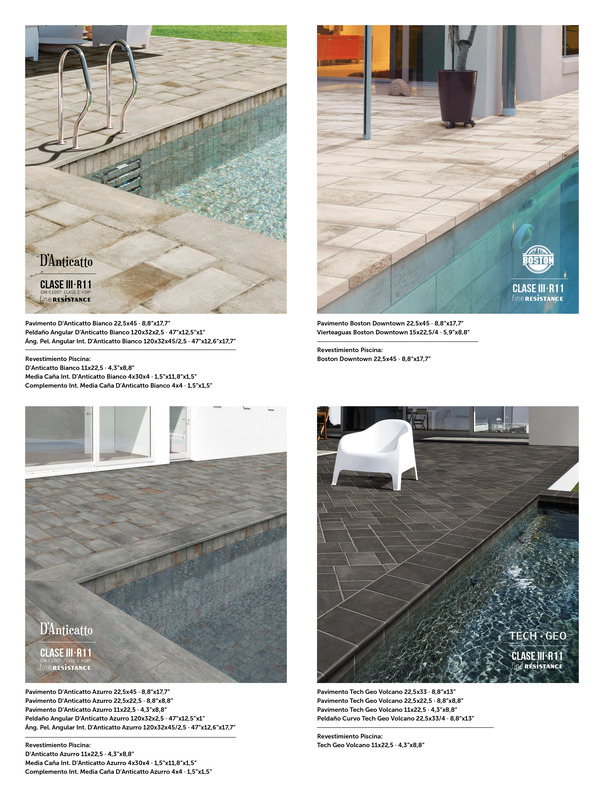 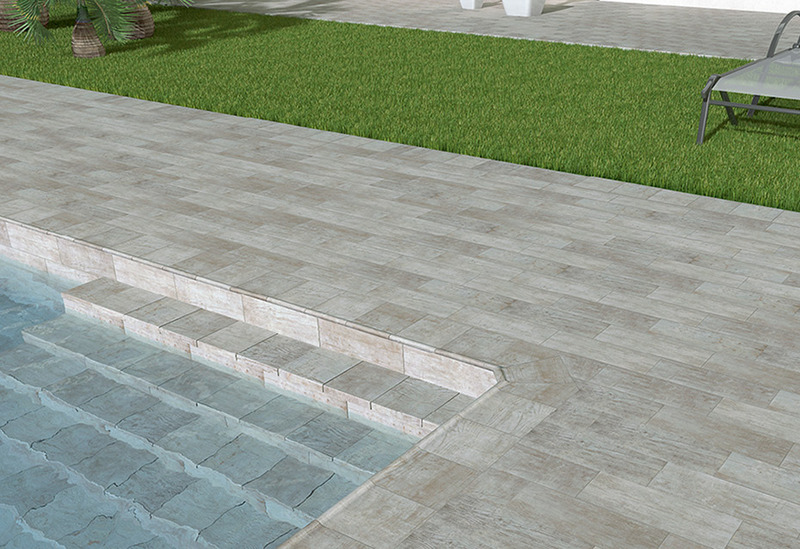 Special pieces for the pool and porcelain antislip floors for terraces and beach area. 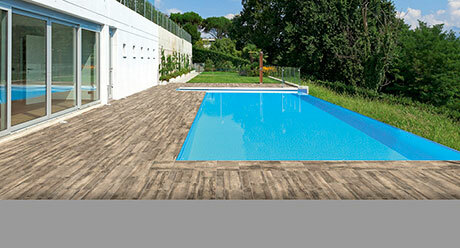 Natucer offers technical and aesthetical solutions for swimming pools, using our Extruded Porcelain Tiles, extremely resistant, hygienic and safe. 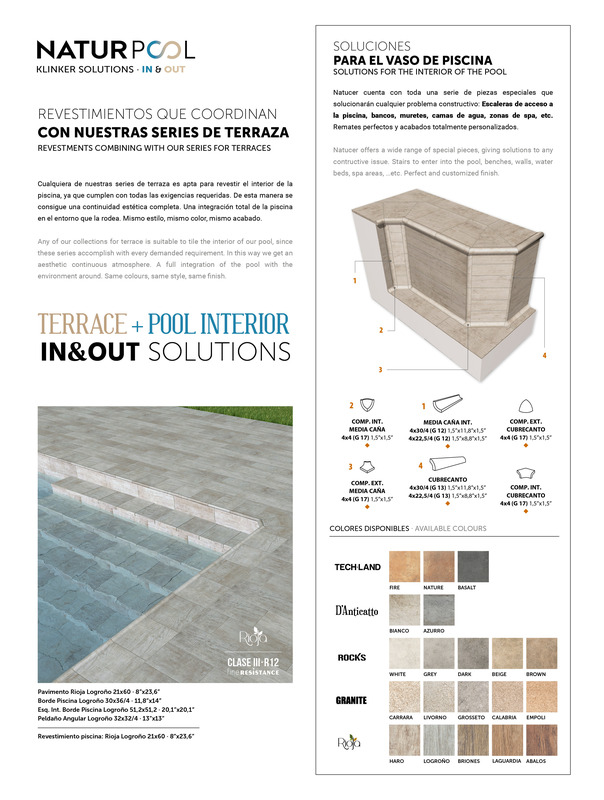 100% customized swimming pools that become an aesthetic continuation of your terrace, creating exteriors full of design and harmony. 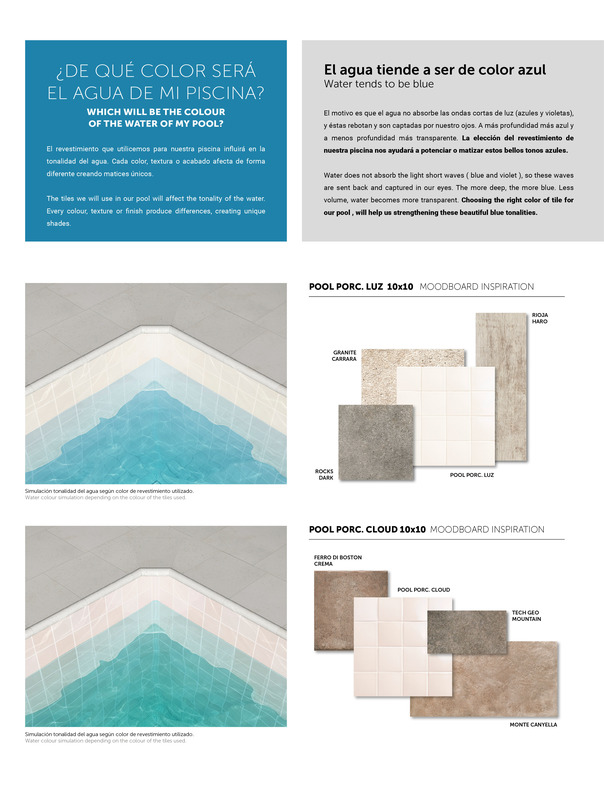 WHY CHOOSE A NATURPOOL POOL? 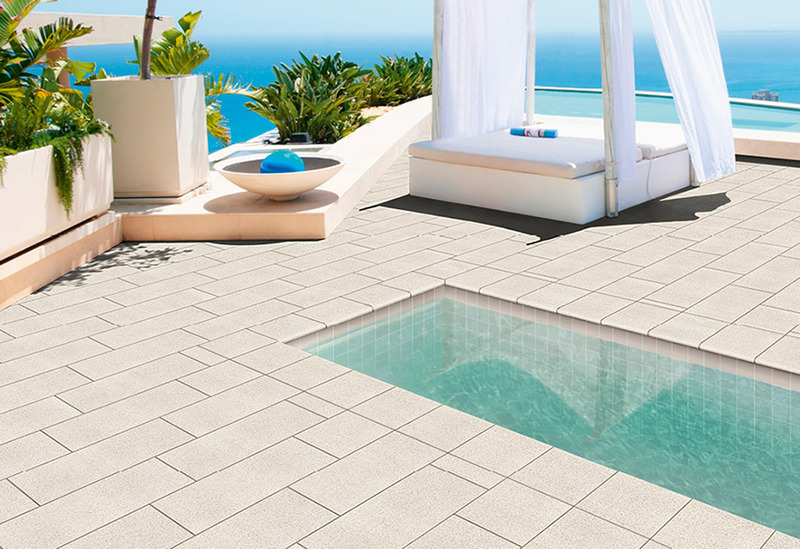 Natucer ceramics presents a high degree of antislip effect to ensure safety both in the beach area as on the border and interior of the swimming pool. 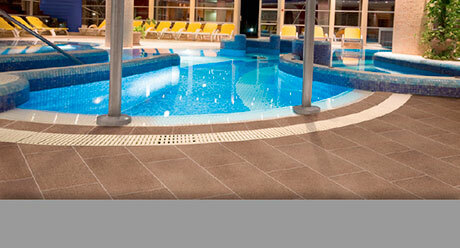 Its high antislip resistance makes the product ideal to be used in wet areas. 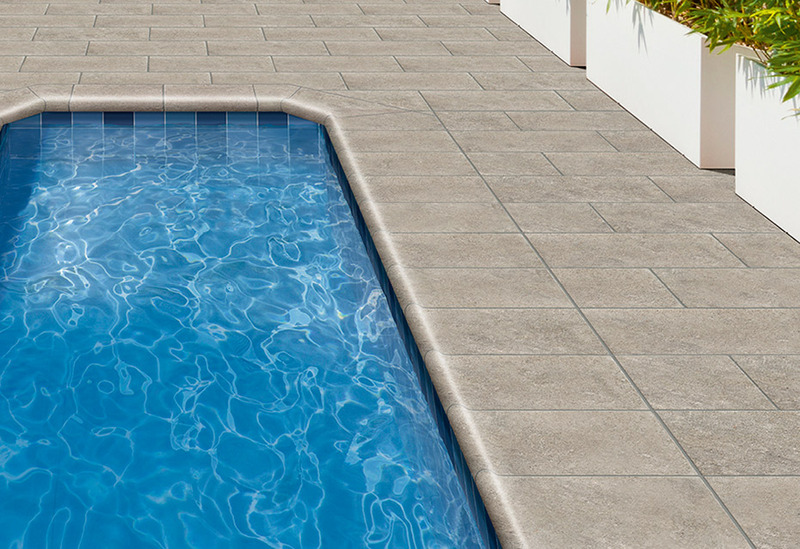 Natucer introduces a special finish avoiding the typical roughness on the antislip product, obtaining a flat and soft surface. 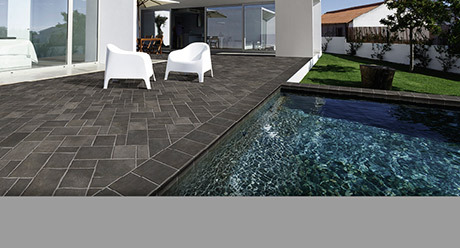 Our ceramics is resistant to chemical cleaning agents and additives used for water conservation. 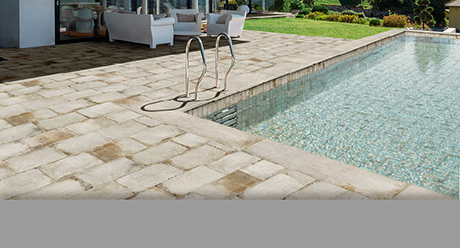 It is also resistant to salt water swimming pool treatments. 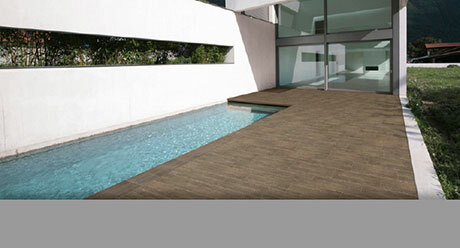 The maintenance of extruded porcelain is minimal. 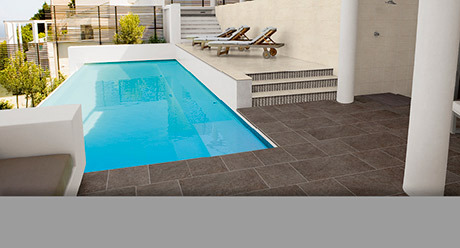 Resistant to stains and chemicals, it is easy and fast to clean; just need to apply pressurized water. .
Natucer ceramics is a product for life. 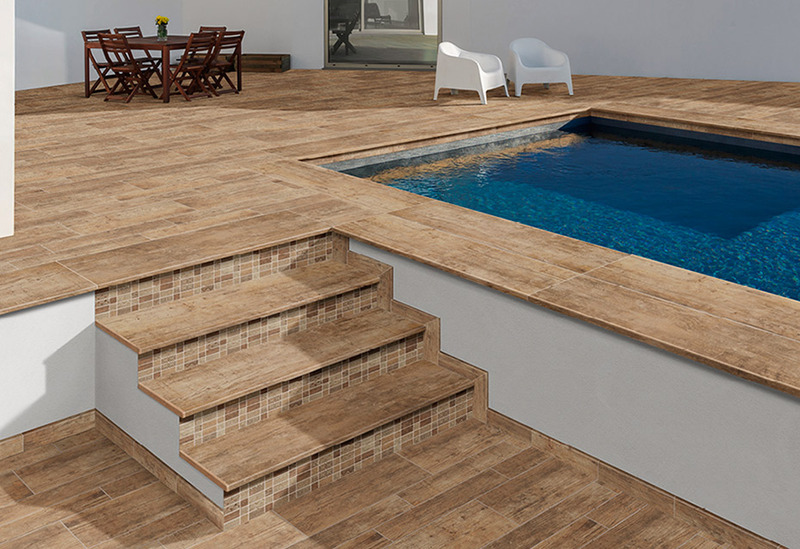 Among its features, it stands out its high durability by staying unchanged against solar radiation, continuous contact with water and chemical products. 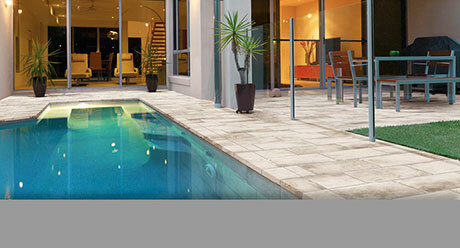 Terraces and swimming pools with aesthetic continuity. 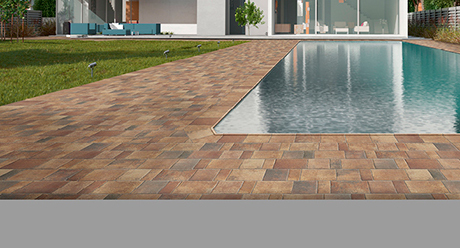 Same design, color and finish for a uniform atmosphere . A total integration of the swimming pool through a surrounding environment, unifying the style of outdoor spaces. 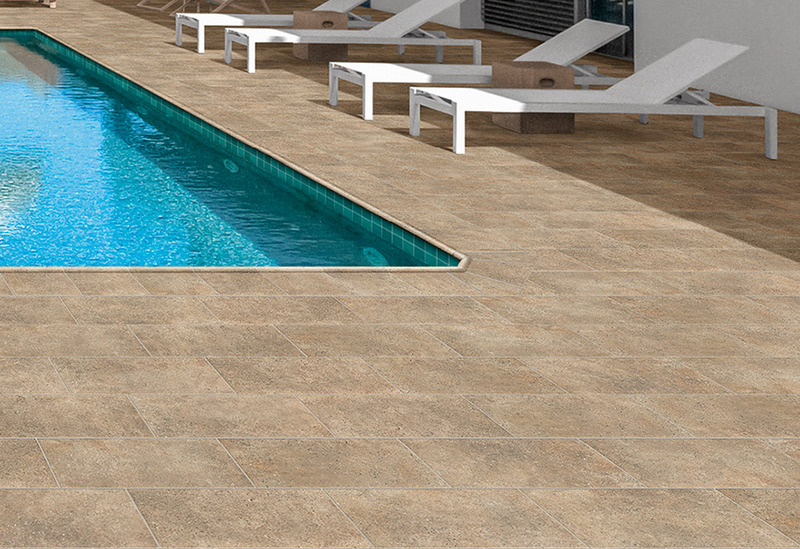 Thanks to the ceramic properties, we can use it to cover the interior of the swimming pool. 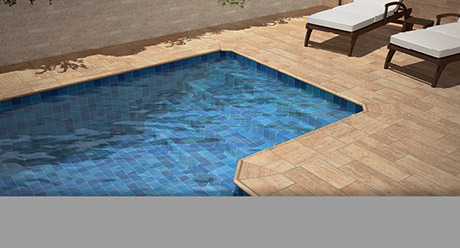 We provide special pieces that guarantee a perfect finish. 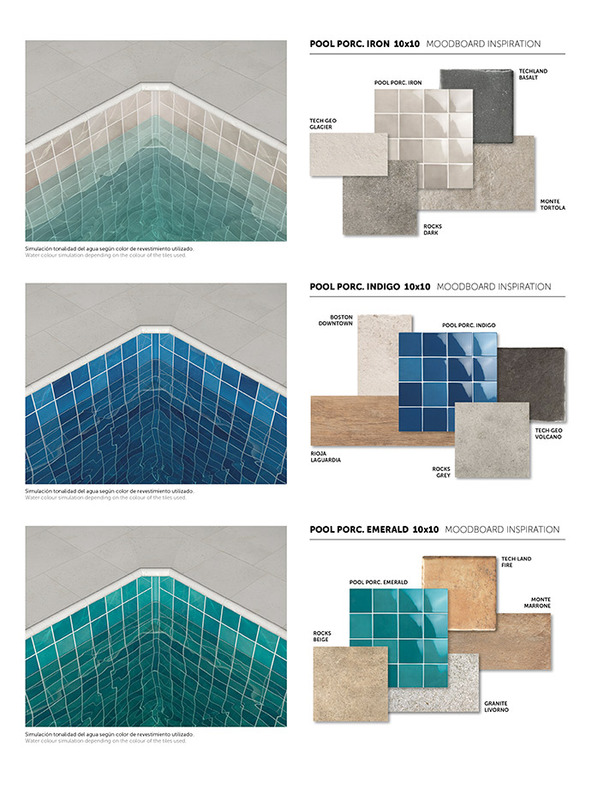 Ceramic offers endless decorative combinations to create unique and customized swimming pools thanks to its variety of formats, colours, finish and styles. 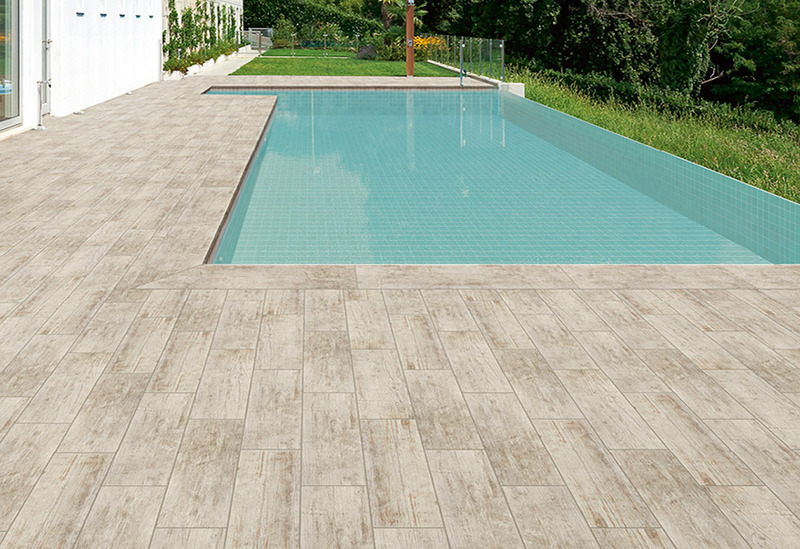 Ceramic tiles do not burn, and in case of fire, damaging substances for people or environment are not released. 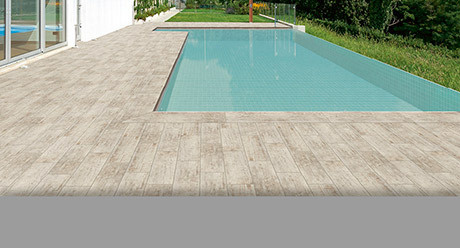 Ceramic tiles are completely recyclable with no plastic content. 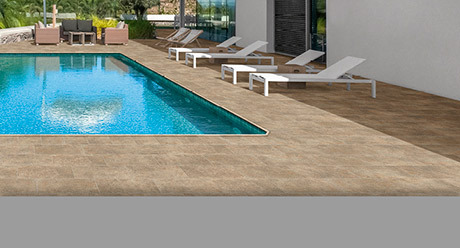 Environmentally-friendly since it is produced under the most strict European normatives. 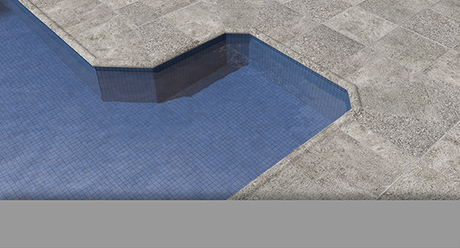 Overflow swimming pools are those in which the water horizon runs over the level of the pool border, creating a “lake” visual effect. 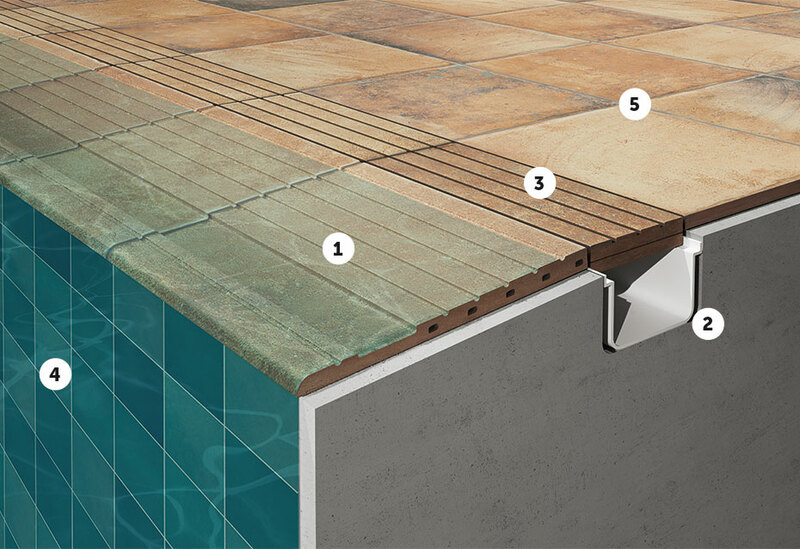 Its drainage is done through a grill on the surface of the beach floor, that finish in a channel pipe that recycles water constantly. 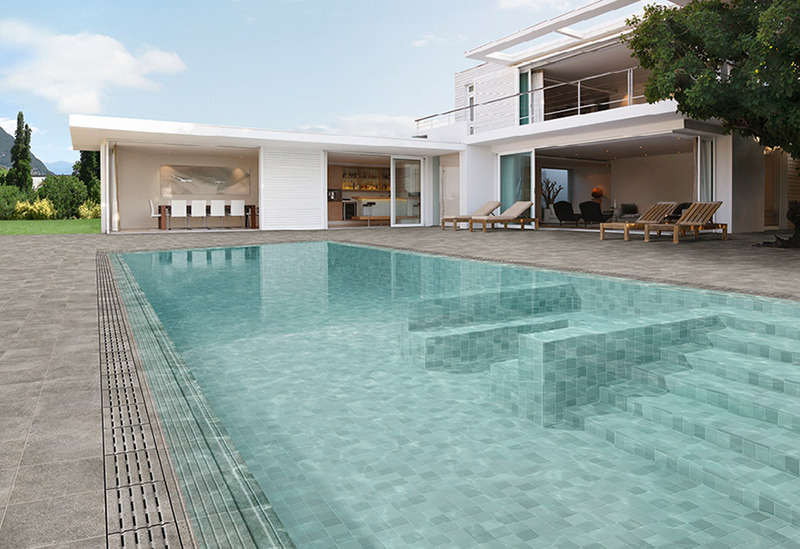 Infinity pools are a variation of overflow pools. 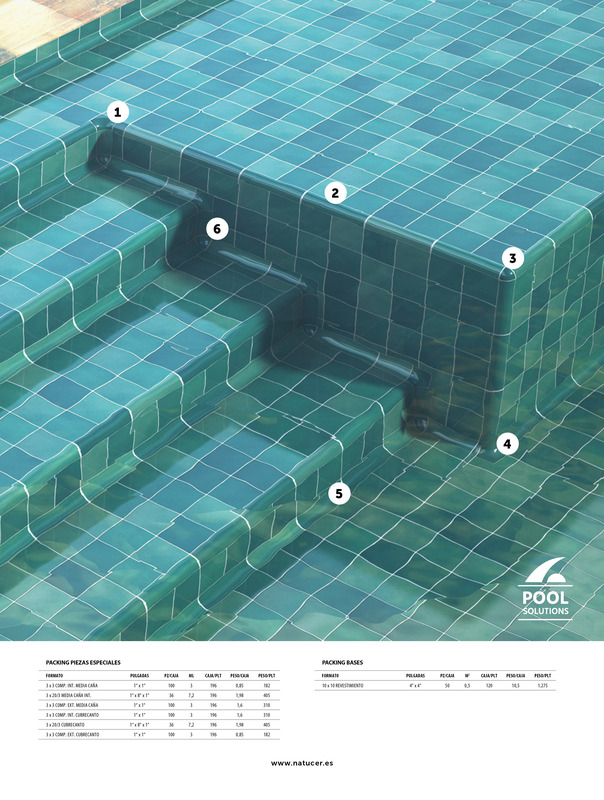 Water level overpasses one or more than one of the pool borders, falling vertically inside a hidden compensation container. 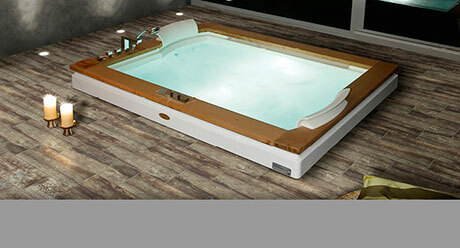 They are popular thanks to its great aesthetic beauty. 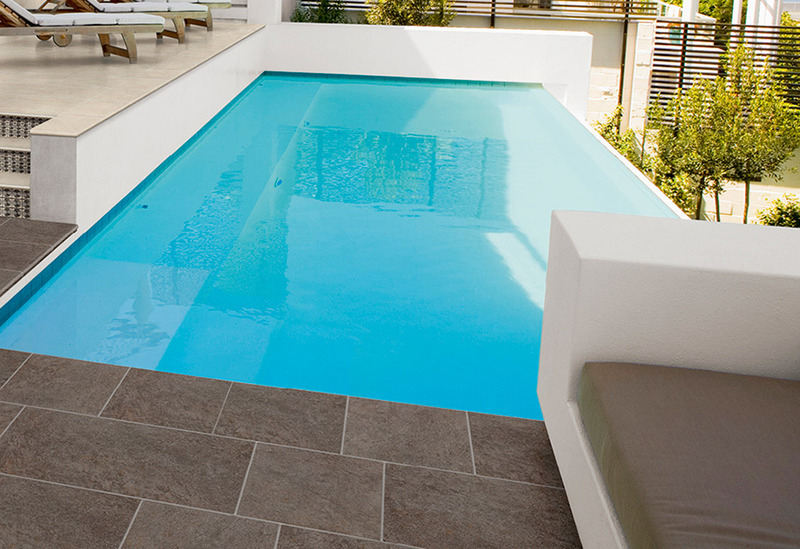 In Skimmer swimming pools or traditional pools water level in 20 cm below the pool border. 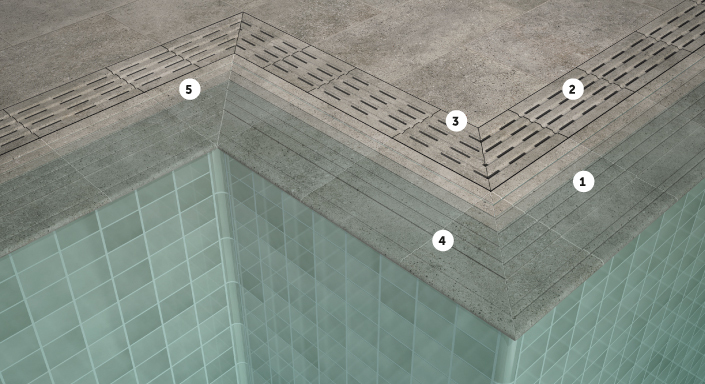 Here we find the skimmers, entrances for cleaning and filtering water. 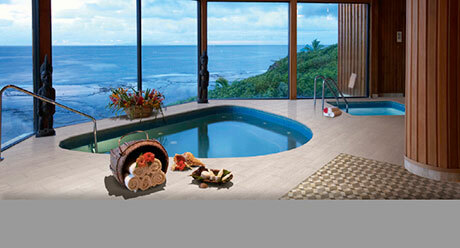 These are very functional swimming pools, and also the most usual. 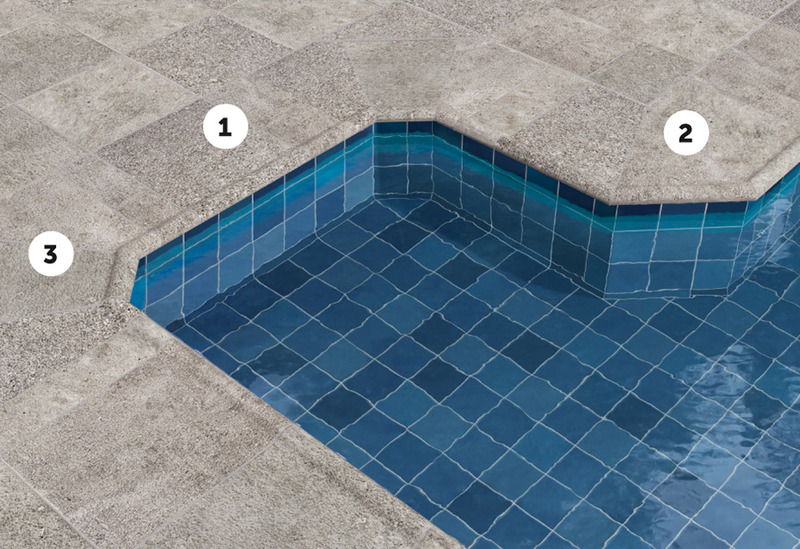 In these pools, less maintenance is required. 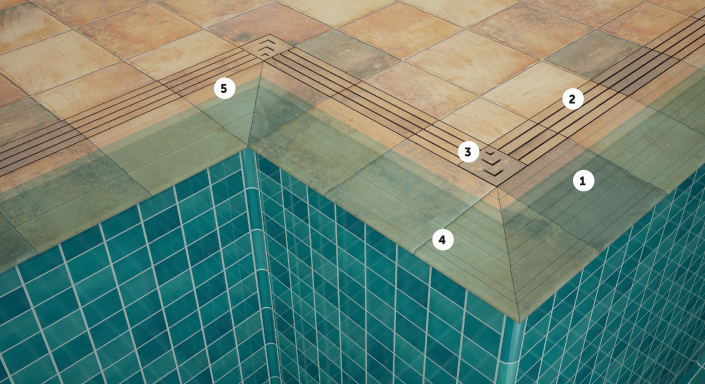 In order to get the overflow effect, one filter channel should be installed in all the perimeter of the pool, where water will be constantly flowing. 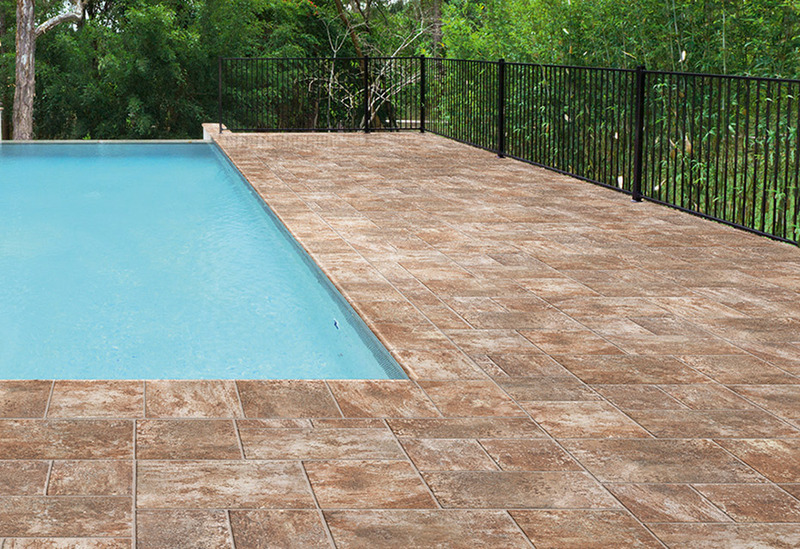 This channel will be covered with our ceramic tile grill. 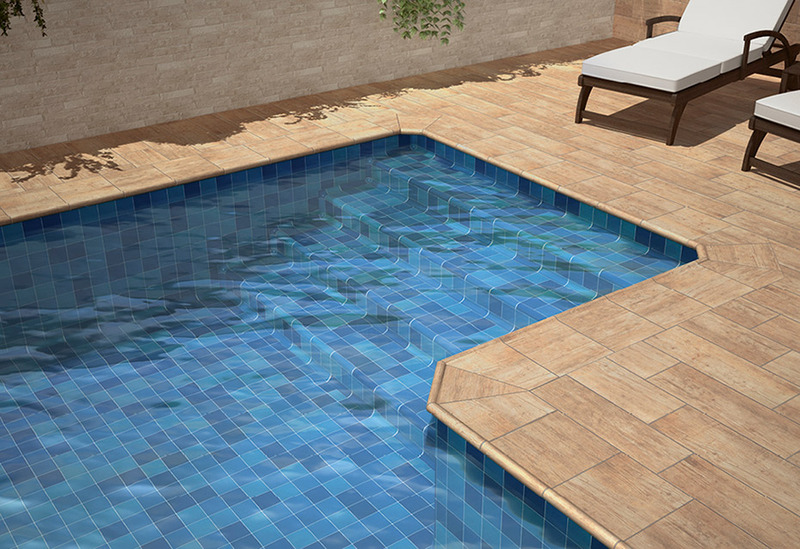 * In overflow system pools, the draining ability is very important, since water will slide into the channel, but never will flood it. 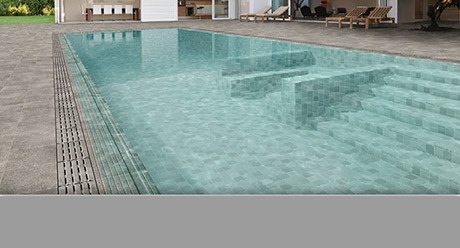 Infinity pools get their name due to the optical effect they produce. 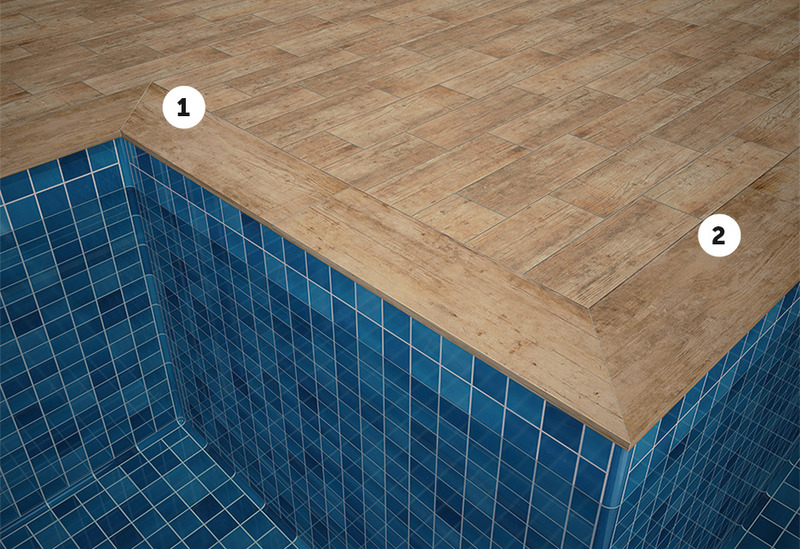 This neverending surface effect join the water with the horizon. 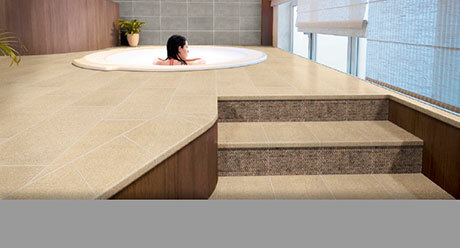 Water falls into the channel, that is installed in a lower level from the surface. 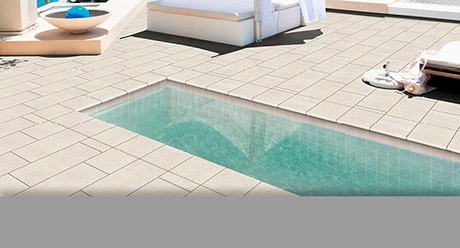 Infinity effect can be applied to any of the pool sides. 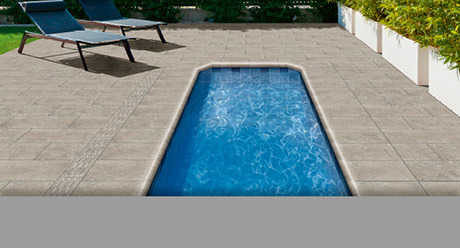 The pool border provides aesthetic style, safety and cleanliness, avoiding damages with edges or sliding near the pool. 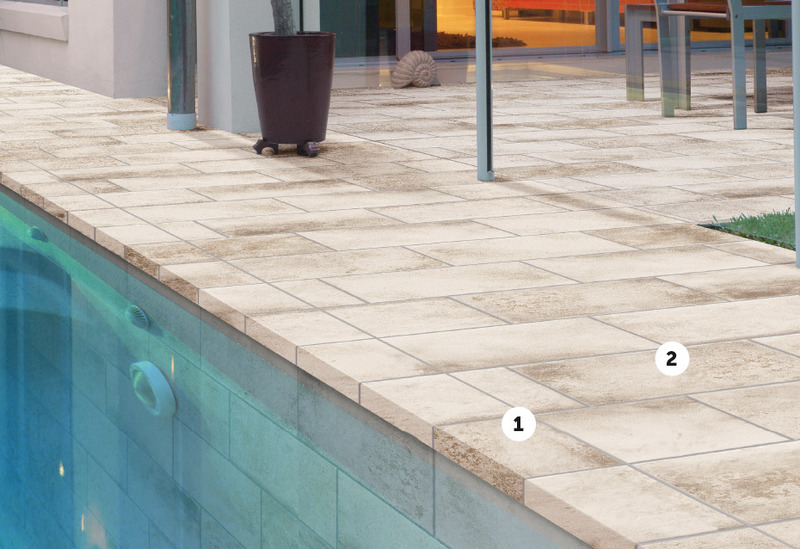 The back side of the overflow border piece presents an elevation in order to avoid dirt entering into the water. 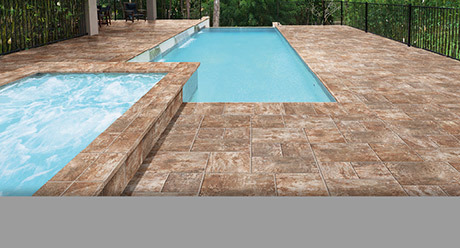 We offer different options for the pool crowning system, depending on each building need. 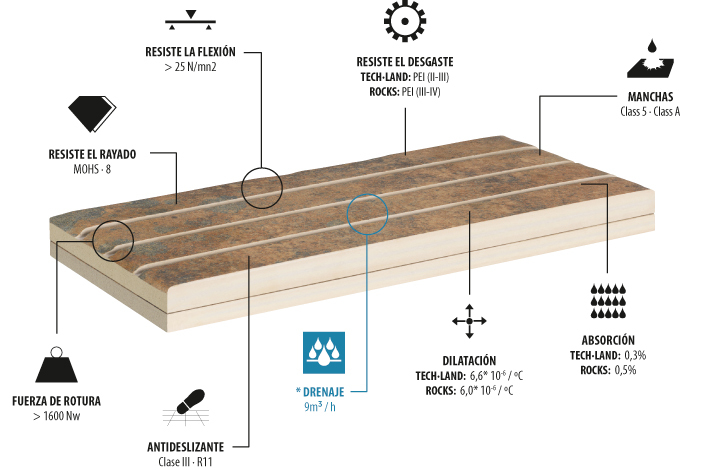 Resist light, humidity, wear and deformation. 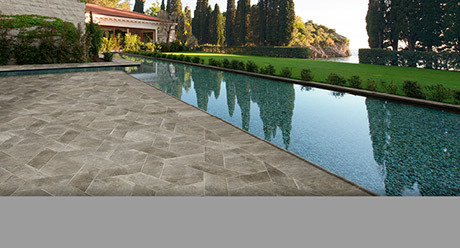 Standing the test of time. 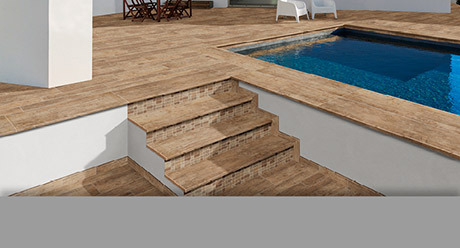 Special pieces allow a perfect finish in stairs, inner walls, spas, and other structures inside the pool. 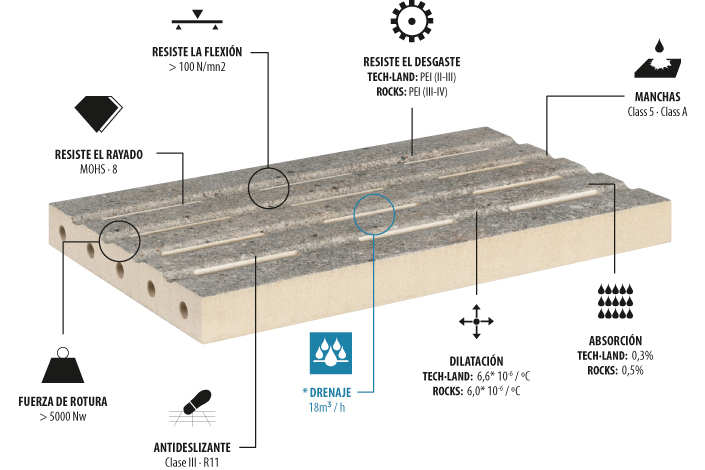 Perfect adhesion. 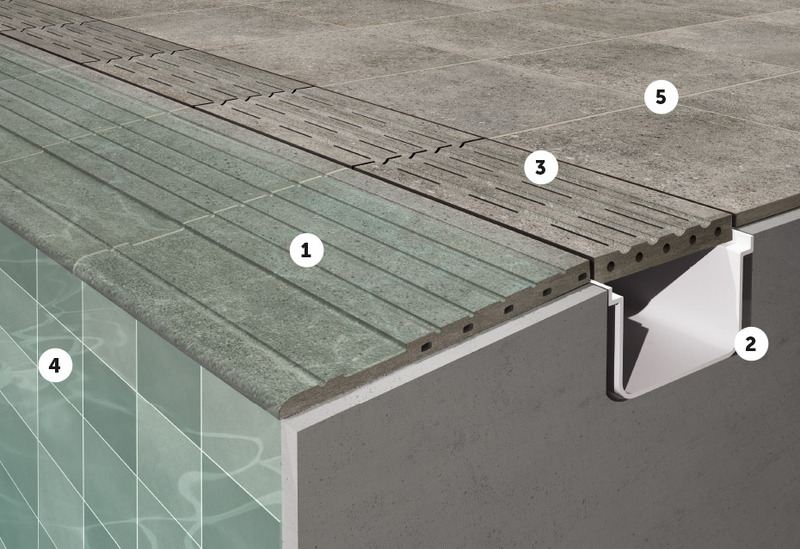 Joints and tiles become perfectly fixed. Which will be the colour of the water of my pool? 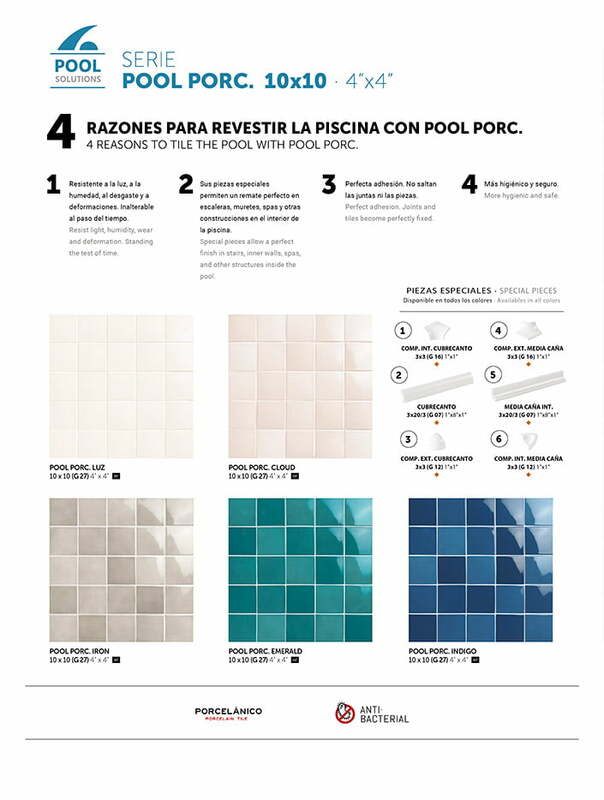 The tiles we will use in our pool will affect the tonality of the water. Every colour, texture or finish produce differences, creating unique shades. 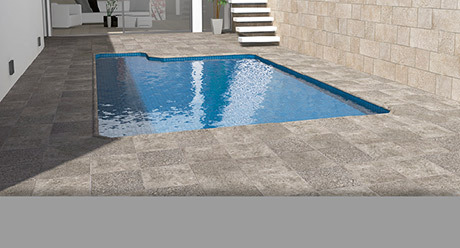 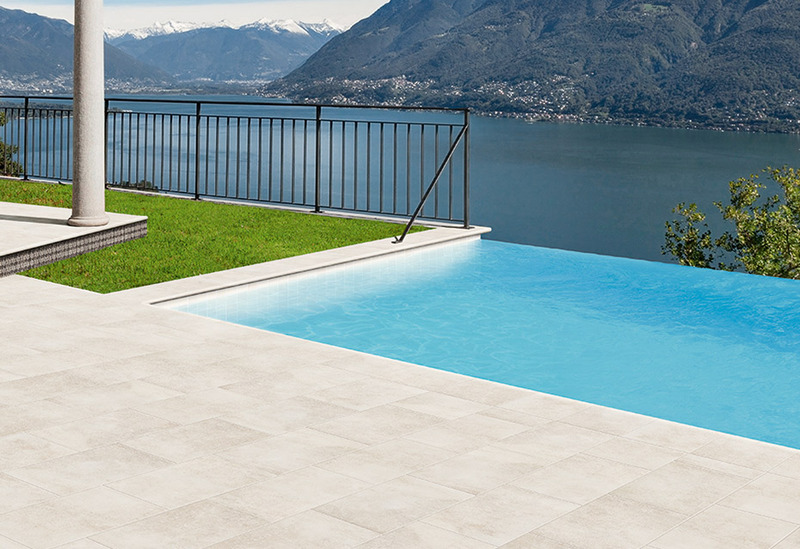 Any of our collections for terrace is suitable to tile the interior of our pool, since these series accomplish with every demanded requirement. 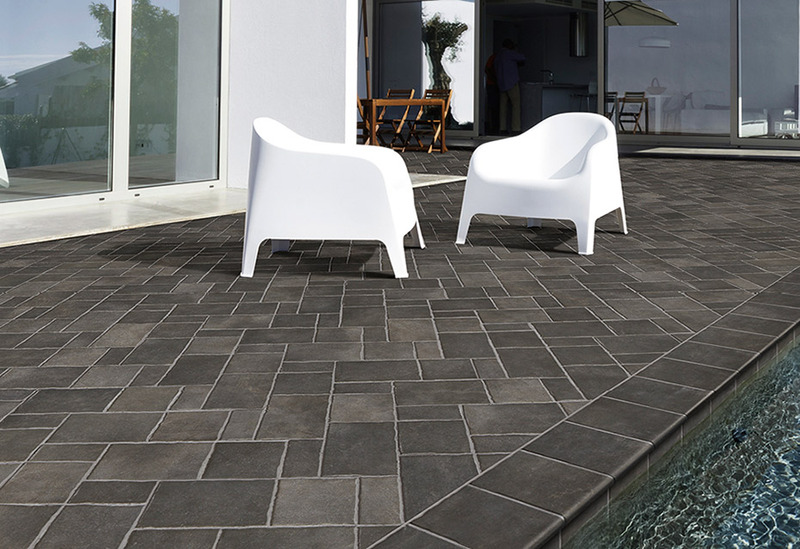 In this way we get an aesthetic continuous atmosphere. 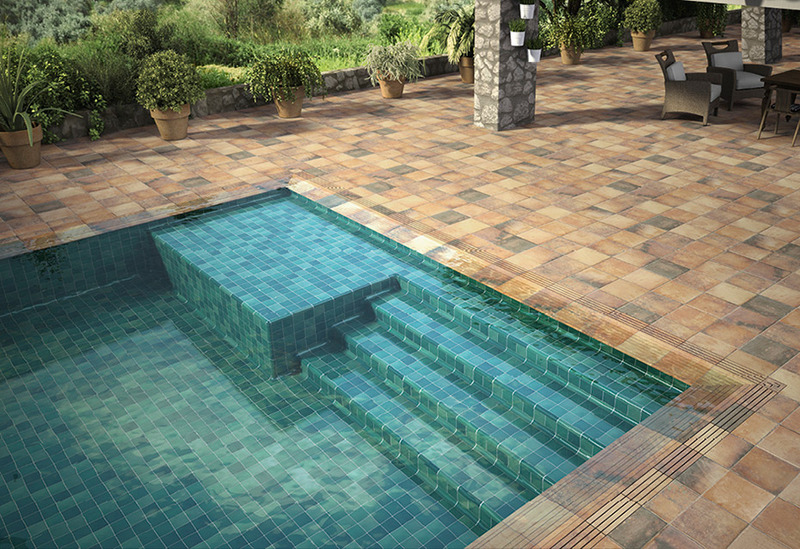 A full integration of the pool with the environment around. 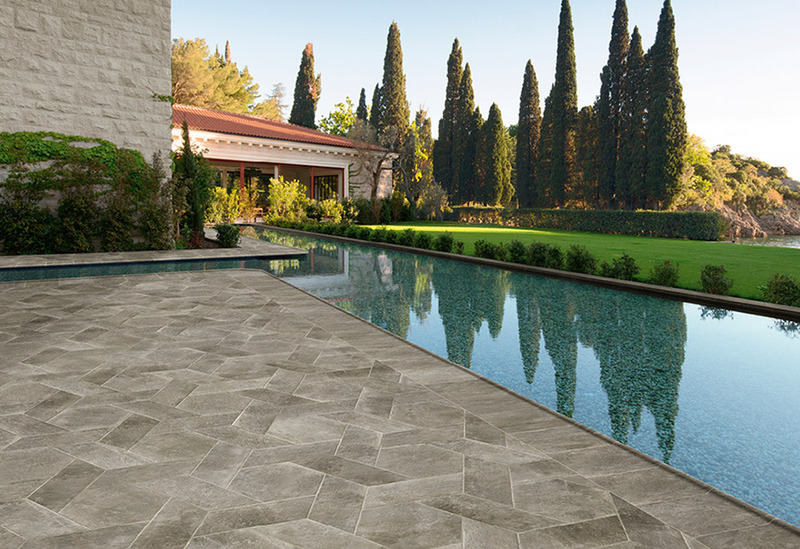 Same colours, same style, same finish.